Congrats to Democrat Mike Frerichs - A Major Award! Some really great news for Democrat Mike Frerichs! 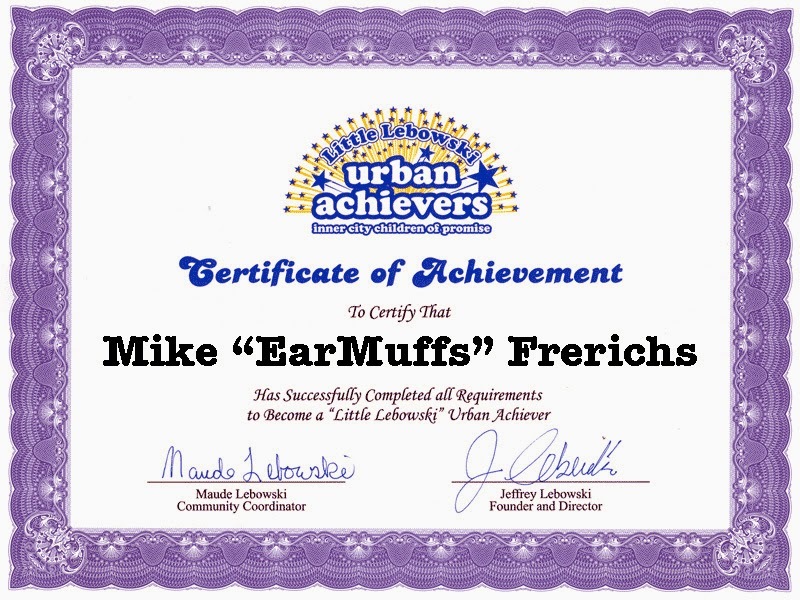 We were sent this "Certificate of Achievement" on behalf of Treasurer's candidate Frerichs for his efforts of 'flailing about with his whereabouts in a totally unnecessary way on Facebook'. Congrats, Mike Frerichs. Keep up the incessant Facebook postings with your whereabouts. The team at the "Little Lebowski Urban Achievers" knows that's the *best* way to win votes.